Today, Sayeeda was back on the road ahead of the local elections, campaigning in Yorkshire and Lincolnshire. Her tour began in Batley, where she was present to launch the new Batley and Spen Conservative Association Branch and to address members and new councillors alongside Branch Chairman Mohammed Laher. 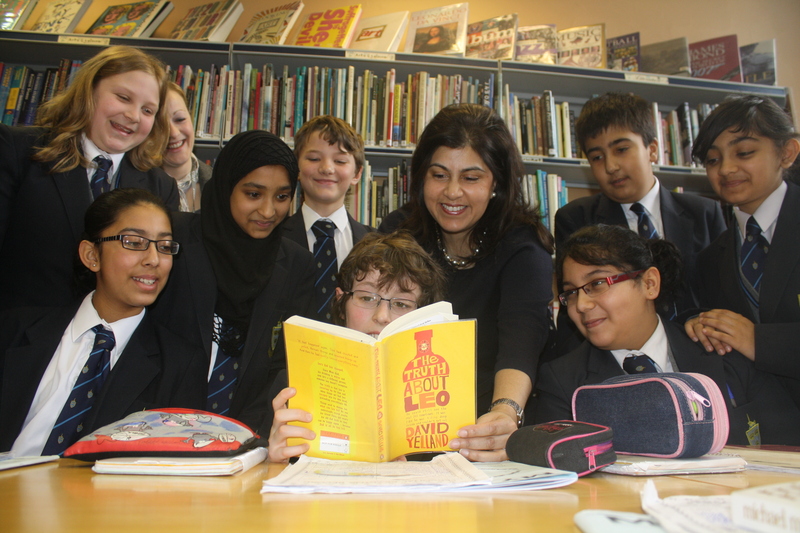 After her campaign talk with her councillors, Sayeeda visited Batley Grammar School, where she was greeted by staff and pupils. The school, which is in its quarter centenary year, is one of the first in Yorkshire to become a free school. After waving goodbye to the pupils in Batley, Sayeeda travelled to Thornhill Lees Community Centre to meet with the Community Action Group there. She was welcomed by Dewsbury South council candidate Cllr Khizar Iqbal and leaders from the local business community. Following an engaging discussion in Thornhills, Sayeeda moved on to the party’s Yorkshire campaign centre to visit candidate Jackie Whiteley and the team for a Bradford West by-election update, her second visit to the campaign this week. Leaving Bradford, Sayeeda moved on to launch the local election campaign of Conservatives in Derbyshire and to hear their views in a campaign meeting in Codnor. The day was rounded off with a Meet the Chairman event in Lincolnshire, where Sayeeda was greeted by Conservatives led by Cllr Rachel Hubbard, the Lincolnshire Chairman.